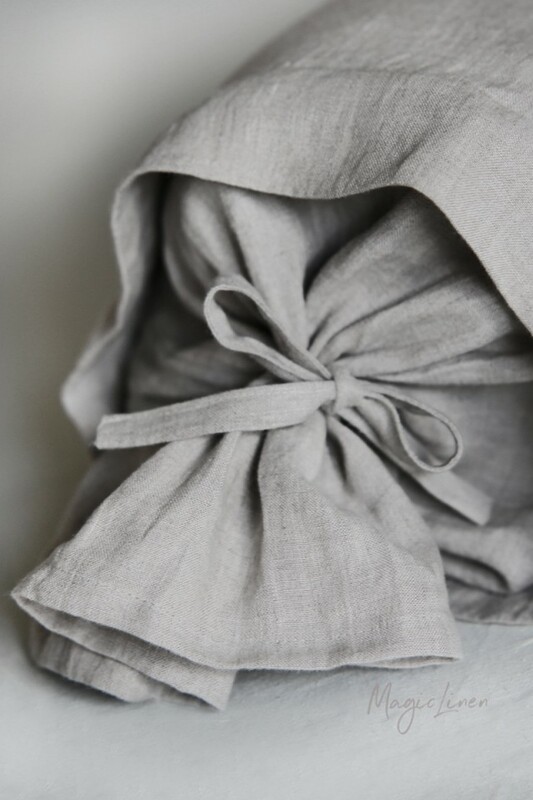 Linen bolster pillowcase available in all MagicLinen home textiles colors. 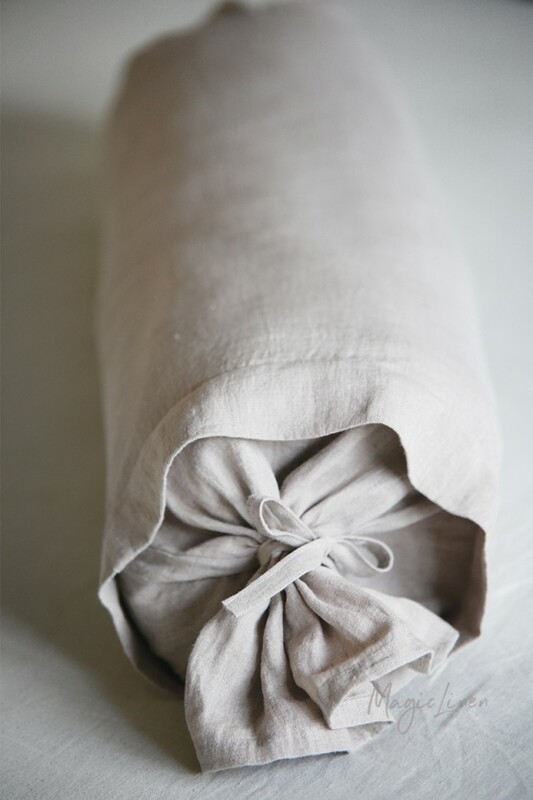 A bolster will add a nice finishing touch to your linen bedding set, and also helps with arm or back support. 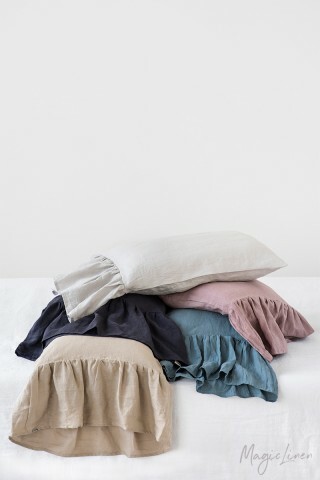 Will easily fit various interior styles: from modern Scandi homes to rustic farmhouses. Please note that stripes can go horizontally or vertically depending on the size of the product. If you have a preference regarding the direction of the stripes, please drop us a line before ordering. 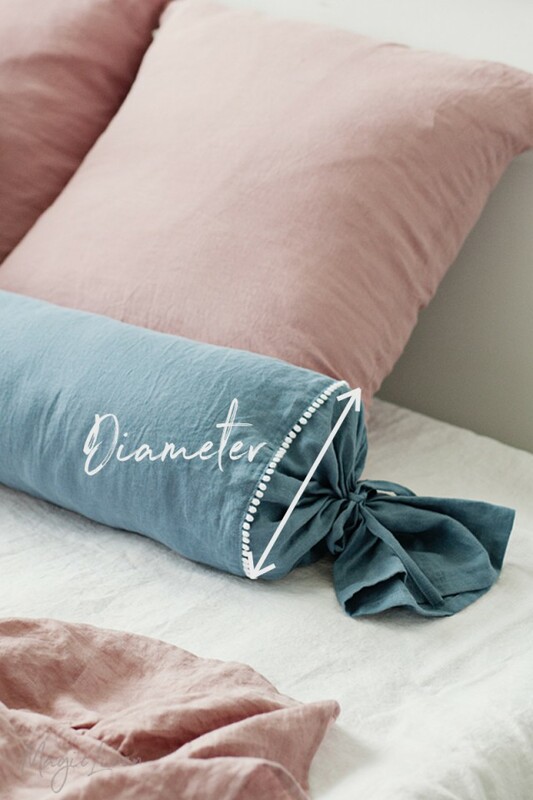 Note: When measuring your bolster pillow, please make sure you measure its diameter as shown in the last image.